From Monica Bay on Law.com. 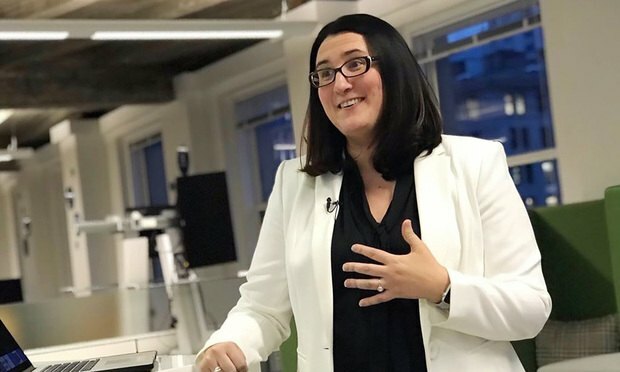 Doxly CEO and founder Haley Altman discusses her definition for “managing up,” why she picked law over medicine, and more. There’s a shortage of women in science, technology, engineering and math. And there’s still a 17 percent gender gap in pay—across the board—in all of legal (18 percent at Big Law). But within the legal technology community there are many women with thriving careers. Monica Bay interviews Haley Altman, 37, based in Indianapolis. Altman was a speaker at “Legal Tech Founders: Then and Now” on April 4, before Stanford Law School’s CodeX FutureLaw conference on April 5. Altman is the founder and CEO of Doxly, which helps lawyers work closely with clients to get deals done. Education: Indiana University Robert H. McKinney School of Law, Indianapolis. J.D (2003-2006). DePauw University, Greencastle, Indiana. B.A., Chemistry and Political Science (1998-2002). I am a member of the California and Indiana bars. Current job: We launched the Doxly with customers in September 2016. It is a legal transaction management platform that helps attorneys get deals done. I focus on creating products that improve attorneys’ workflows and their client relationships. I strive to empower a diverse team of employees to deliver the vision of Doxly; create meaningful partnerships; craft our message; and differentiate Doxly from our competitors. Over the past year and a half, we supported law firms (from small firms to the Am Law 50) in closing transactions with an aggregate value of well over $2 billion. During your education did you consider a career in science, technology, engineering or math?Yes, a doctor. I favored chemistry sets over dolls. In college, I completed a chemistry/political science double major while a science research fellow at DePauw University. But during an internship at Ice Miller, I realized that I could help people more by supporting companies that could impact the world. What was your first paid job? As a competitive swimmer for most of my life, I jumped at the chance to be a lifeguard at our neighborhood pool. I pretty much lived in the water and moved into giving swim lessons, running the swim lesson program and then coaching the first swim team. Your “first seat at the table” and how it influenced you? After I joined Wilson Sonsini, a senior associate allowed me to take the lead on a venture capital financing. I drafted the initial set of investment documents and actually helped lead the negotiations on the transaction. The experience was invigorating and a little terrifying. I loved the responsibility but had to learn the nuances of the deal quickly and on my own. It is so important to give people early opportunities to challenge themselves and grow in any career. First obstacle and how you overcame it: A partner staffed me on an administrative filing for a client. It involved a large data collection and organization effort but not much legal skill. After the first project, the partner asked me to take over completing those type of filings. Because it took much time, I worried I would not get staffed on transactions. I got the courage to talk to the head of our practice area. It seemed risky as a young associate, but I knew I would get behind my associates if I did not make a change. The head of the corporate group and the partner agreed to limit the amount of time I focused on filings so I could have broader exposure to transactional practice. Most flagrant sexism you personally encountered and how you addressed it? As a CEO, I’ve been referred to as “young lady” in emails. Generally, the person is trying to be endearing and not demeaning, but it feels demeaning. It’s harder to deal with via email, but when I’m in person, I’ll let the person know that it’s inappropriate as politely as possible. Unconscious bias has been harder to deal with in tech. I’ve seen male founders have greater access to advisers and mentors. They’ll get opportunities for dinner, drinks or other social interactions. Those same opportunities do not always present themselves to female executives. To combat that, I’ve worked to get to know as many other legal tech CEOs, particularly female CEOs. There is so much we can learn from each other. On “managing up:” It means being the most effective employee you can be, creating value for your boss and your company. That’s why the best path to a healthy relationship begins and ends with doing your job and doing it well. As the CEO, I manage up to the board. I send a weekly update both to our entire team and our board. I want everyone to be on the same page. We celebrate our successes together and are honest about our challenges. I try to empower our team to embrace their superpowers and take on responsibility for projects. Advice for young women: Open yourself up to as many career opportunities as possible at an early age. There are so many different directions you can take your career, so explore your options in college. If you are in law school, see different types of practice. Look for mentors and networking opportunities early on. Five favorite technology tools: Slack, Trello, G Suite, Ring and Venmo. Book that inspired you? ”Resilience: Hard-Won Wisdom for Living a Better Life.” Life as a CEO is hard. It’s an endless roller coaster with climbs that come slowly with quick descents and twists. You have to find that inner resilience and strength to keep working toward your company vision. Favorite charities: Leukemia and Lymphoma Society. It funds research institutions that have made significant strides in treating both. The product of those research efforts helped my sister succeed in her cancer battle. Favorite vacation venue: South Haven, Michigan. My family started making the trip there a few years back. We always rent “the glass house” right on the beach. It’s peaceful and a great way for our family to reconnect. We enjoy the water, the laughter and many late nights playing cards. Your mantra: Just keep swimming.